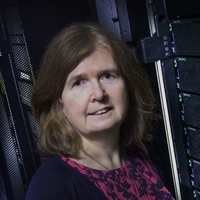 DescriptionThe Hartree Centre in the UK runs a government-funded initiative which focusses on accelerating the uptake of HPC, HPDA and cognitive computing in industry. Industry requirements are increasingly data driven, with a notable shift of interest from analysis to prediction and a need for platform agnostic solutions which are also elastic. Solutions developed at scale must be capable of being scaled down to meet the needs of smaller companies and those without access to large HPC. This talk looks at some of the approaches being adopted to meet customer requirements. These include delivering maximum computing within an available energy budget (energy efficient job scheduling), and at how finer grain control over HPC hardware could be used to implement policies applicable to cloud, as well as the use of application abstraction for portability and machine learning to improve efficiency.